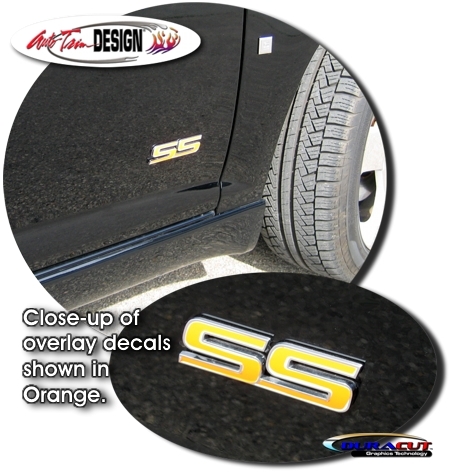 Individualize your '05-'10 Chevrolet Cobalt SS with overlay decals that fit within the existing "SS" lettering indentations of the factory door and rear lid emblems as shown. Available in a wide variety of colors, they look great! Decals are packaged as a set of two (2) for the doors and one (1) for the rear lid. We even throw in a couple extra decals just in case you mess up!